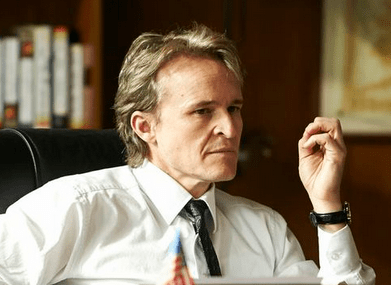 Damon Herriman joins new Vince Gilligan drama, Battle Creek. Great to see actor Damon Herriman kicking goals. Recently seen in INXS: Never Tear Us Apart, he has now been cast in Vince Gilligan and David Shore’s CBS drama Battle Creek. The drama, based on a 2002 script from the Breaking Bad creator, centres on Russ (Dean Winters), a detective, and Milton, an FBI agent – two men with very different worldviews who are teamed up. Together, they must answer the question: Is cynicism, guile and deception enough to clean up the semi-mean streets of Battle Creek, Michigan in the face of dwindling resources? The Hollywood Reporter notes Herriman has a recurring role as Detective Niblet, a nice guy who is a cop with the Battle Creek Police Department. Herriman’s credits extend all the way back to his work as a child actor on The Sullivans in 1976. But he has many US credits including Justified, Vegas and Cold Case. You forgot to include his greatest role – “various” in The Elegant Gentleman’s Guide to Knife Fighting. With Vince Gilligan and Bryan Singer on board, and now Damon, Battle Creek is shaping up to be something I’ll be checking out. Having recently watched 100 bloody Acres I have to say that Damon Herriman is a very talented actor and also almost all of my favourite episodes of The X Files were written by Vince Gillian. So Battle Creek to me looks very promising! I’m thrilled especially due to being a long time fan of Vince Gilligan going back to his time on The X Files. I’ve being a big Justified fan and Damon gives depth to what would of being a 2 dimensional character, he really is a chameleon if one checks his imdb and photos. One of Australia’s finest actors and has been for years. Not suprised,Vince mentions on the BB DVD commentary what a great job Damon did in the S4E06 episode of BB where he played a drug crazed lunatic.